Air cooled chiller /Mini scroll chiller with Panels and base frame are made from galvanized steel protected with polyester powder painting to ensure total resistance to atmospheric agents. Mini Chiller Single phase (mod.08÷12.5) compressors, 3-phase scroll compressor (mod.16÷50), with thermal overload cut-out and crankcase heater mounted on rubber vibration isolators. 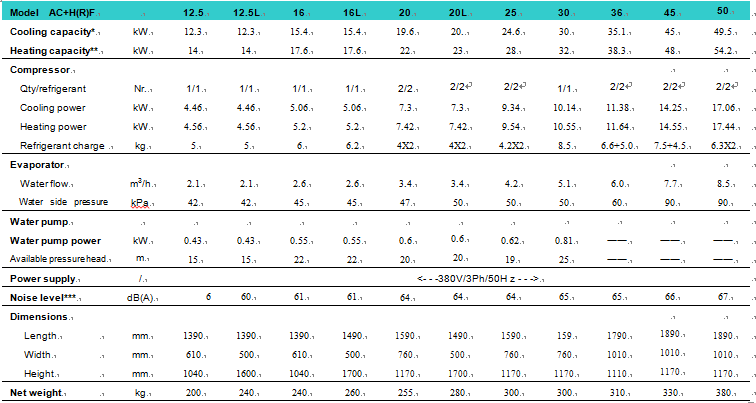 Models 08÷12.5 are available also with 3-phase scroll compressor. 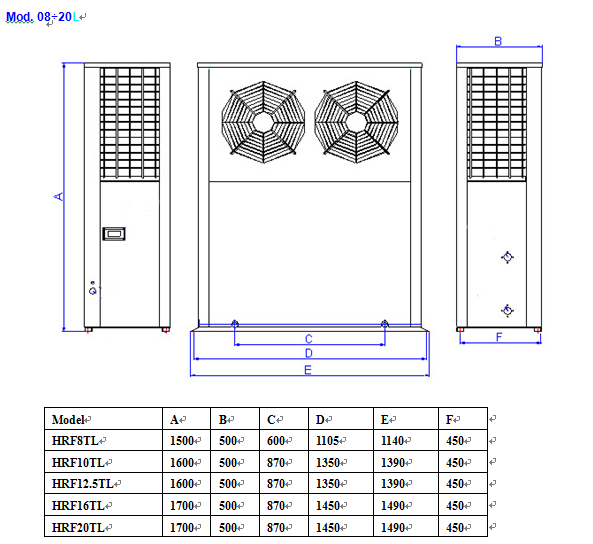 Air to water chiller External rotor type axial fans, equipped with single phase direct drive motors, low noise 6 poles, protection level IP54, provided with a protective outlet grille. 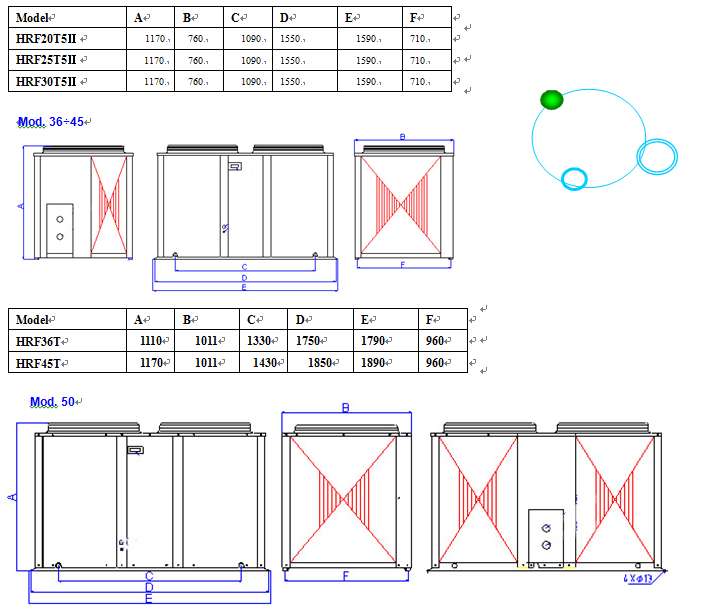 R22 chiller High efficiency tube in tube heat exchanger, factory insulated with flexible close cell material. 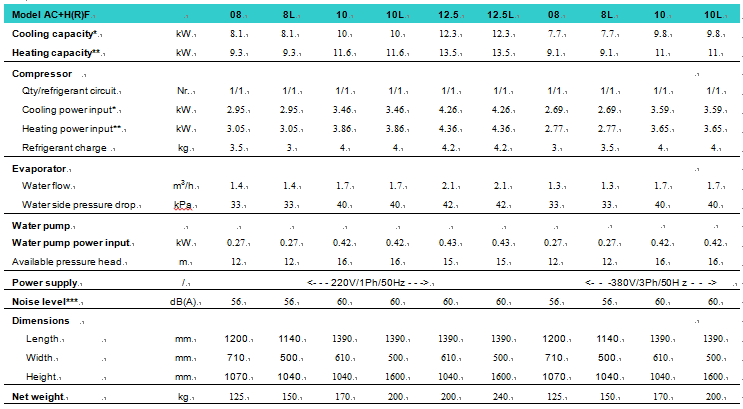 Air cooled water chiller with Copper tube connection with charge valve, filter drier (smaller size), gas-liquid separator, thermostatic expansion valve (expansion capillary tubes for smaller size), low pressure switch with automatic reset, high pressure switch with manual reset. 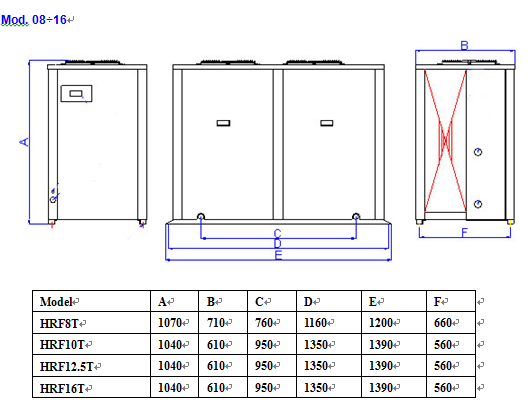 Vertical chiller with Built with air vent valve, water drain connection, water circuit safety valve, water pump (For smaller size than 30 model), expansion vessel, male-threaded hydraulic connectors and without water storage tank..